I have all these crazy ideas of meal prepping. 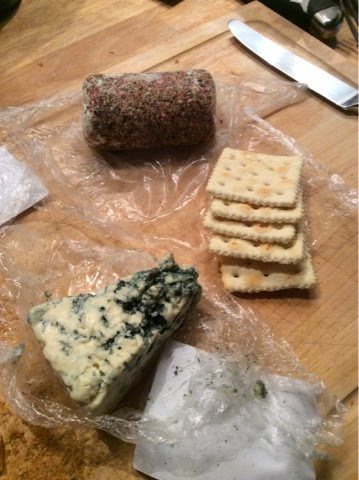 To prevent what happened tonight - our meal consisted of a blue and a goat with saltines and ak mak crackers. Dpn't get me wrong, it was delicious... but I need to get away from this. And to make matters worse, there was no wine. Tonight's workout really sucked all the energy away from me, so I'm going to call it a night.